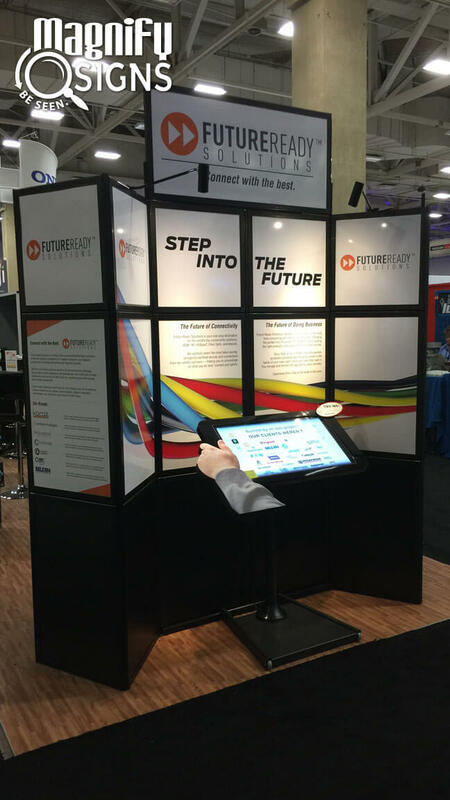 Trade Show Displays (also known as Trade Show Exhibits, Trade Show Stands, Trade Show Signs, and Convention Displays) are booth-styled displays created to boost your brand at the trade show. Trade show displays come in many shapes and sizes, concisely describe your business, and will make your brand known around the community. Please take a look at our Event and Trade Show Display catalog below or you can download a 14.2 mb compressed version here. Your brand is your identity and we make it possible to build a stronger brand with a customized business sign. 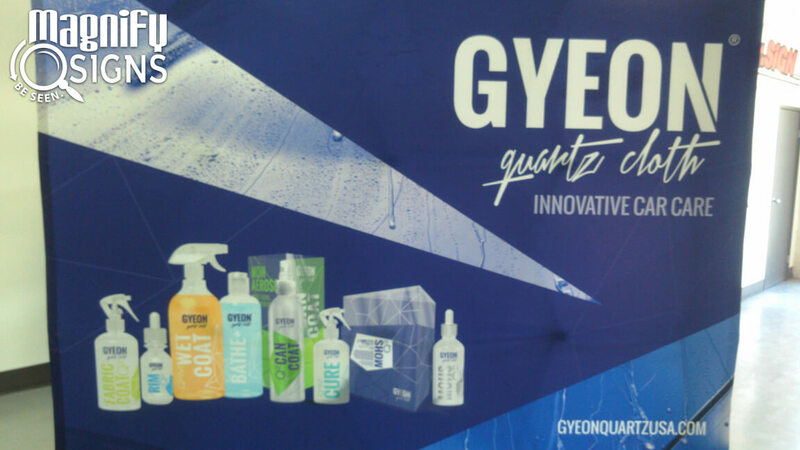 Custom trade show displays are a must in order to boost your company image at any trade show. The best way to attract customers and help them learn about your business is by displaying a custom business sign with your unique branding. The signs experts at Magnify Signs are your best option for getting custom trade show displays in Denver, CO and the surrounding metro area. 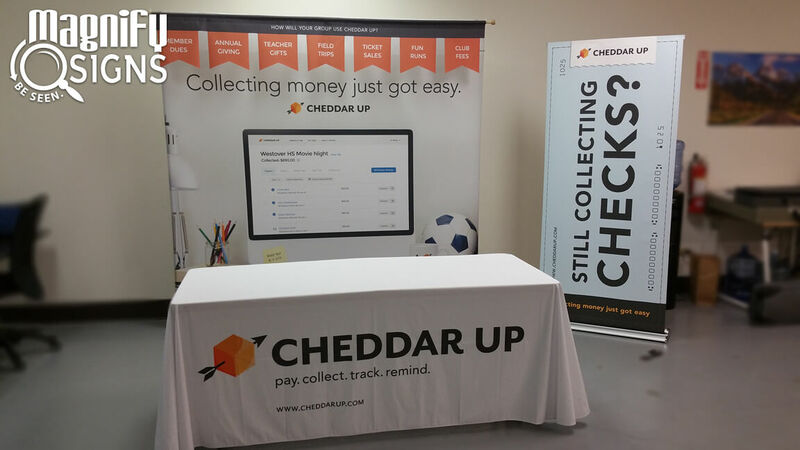 It is trade show season again–well at least it always seems to be! This is the time when you ready your company to make a great impression on industry insiders, buyers and representatives of the local media. As you are getting your event-specific webpage up and running, do not forget to also evaluate the look of your trade show displays. If you have not had a chance to look over the components of your booth setup and associated signage products, do not wait any longer. At Magnify Signs, we know that the next exhibition date can sneak up on you. Rather than attending with an outdated setup, which may actually harm you more than it will benefit you, we offer you an opportunity to peruse our updated catalog of must-have exhibition and display signage for this season. There are many design options to choose from. Trade show displays aren’t limited to a tri-panel booth structure. We could create a trade show display in a box structure, or put together a retractable banner stand with a fabric wall display as a trade show display. They’ll help explain your company to others in a concise and effective way. The sign experts at Magnify know concise communication is important. 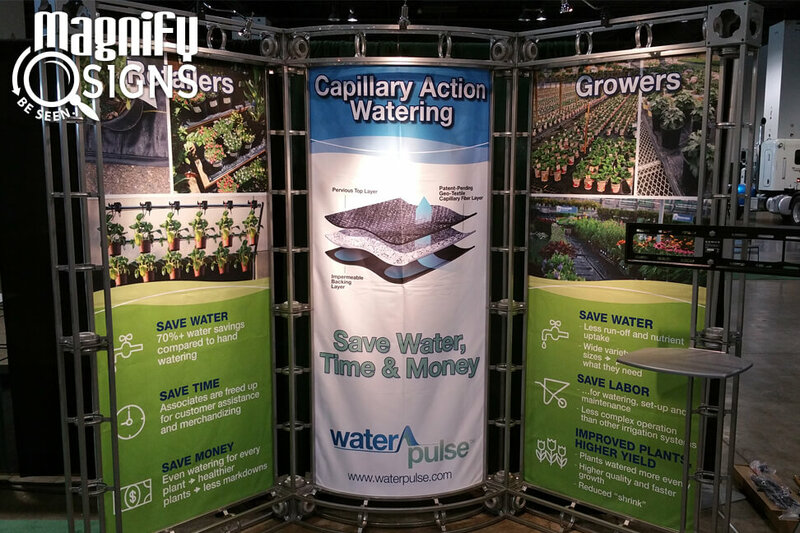 When we’re working with you to create a design for your trade show booth, we’ll ensure your sign effectively communicates all the important details about your business in a short and precise manner. They’ll make your brand known around your community. Our trade show displays have been known to astonish our clients, which mean your own display will astonish any of its viewers. A bold and unique custom convention display will make quite the impression on your community. The graphic artists at Magnify Signs understand that your business requires custom signage, highlighting your brand and location. We proudly serve the business communities in and around Metro Denver: Denver, Englewood, Littleton, Lakewood and Centennial, etc. Call us today at 303-761-9592 to discuss how we can change the look of your company’s advertising signage with a new trade show display. We will gladly come out and do a site survey, take measurements, gauge the usage of other sign products in the neighborhood and provide you with expert advice about your sign options. We want your signage to help your business Be Seen!